It’s time to expand your Shopify store to another country. Are you ready? Brazil is the 5th largest country in the world and the largest economy in Latin America, having one of the most active internet users in the world. Brazilians spend on average 6.1 hours per day on the internet. Among social networks and local websites, part of this time is spent browsing through e-commerce stores looking for whatever they might be looking for. In Terms of E-Commerce, Why Brazil Matters? Past year alone, Brazil generate more than BRL 50 billion in ecommerce sales. According to a study released by Score Digital, Brazilians did 58 thousand digital transactions per hour in 2017. The country is a is a blue ocean of opportunities for e-commerce entrepreneurs that are looking to expand its services to other countries. The best part is that this trend of e-commerce stores selling to Brazil is only starting. 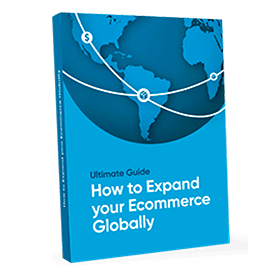 If you take a step further and make your products available to Brazil now, this will put you above thousands of other e-commerce stores that are still playing it slow and locally. Even though Brazil’s e-commerce market is still not as big as China or United States, being part of the early stages in a country full of opportunities and people who are not afraid to purchase internationally is a great advantage. In South America alone, Shopify stores grew 168% until mid-2017. If you’re wondering whether it’s time to invest in the Brazilian ecommerce market, I would say this is the best time to do so. That’s why we wrote you a to-do list to start right away focusing on your new market. Are you ready to take over the country with your Shopify? Then keep reading. Before going all-in in a new market, it’s mandatory to deeply understand this new culture and consumer shopping habits online. Some of the most popular product categories people are purchasing online in Brazil and generating the largest profits were car accessories, followed by home furnishing and decor, smartphones, computers, electronics, audio, and video. Brazilians are also deeply interested in the fashion and beauty sector. In 2016, online fashion sales were accounted for 6.36 billion USD and projected to grow even more over the next few years. Another relevant detail to keep in mind? Holiday calendar. It’s easy to oversee this kind of thing when you’re starting out in a new culture, and Brazil has some very specific dates that you really need to keep in mind. Some of them are Consumer’s day, Mother’s day, our own Valentine’s day and much more. We have a full Brazilian holiday calendar here, in case you want to check it out. It’s important to keep in mind that Brazil already has their own ecommerce giants running in there for many years. However, many Brazilians still prefer to buy internationally. Because many goods are overpriced in local Brazilian stores due to the high taxations of the country. In the end, it makes sense for Brazilians to purchase from international stores to get a better price, even if it means paying taxes and freight. Brazil has a huge consumer market eager to put their hands on international goods and services. That’s why ecommerce giants like AliExpress and Wish are already investing in this market for years. Before starting to sell in Brazil, make sure your logistics are on point. The Brazilian Postal Service, called Correios, are the most popular form of shipping to the country. In a lot of times, it might take a longer period to deliver purchases due to Customs and the high amount of packages getting into the country. That’s why Brazilians can also be patient shoppers. Since they are used to purchase products internationally and take at least 30-60 days to get them, Brazilians purchase internationally already expecting their goods might take a while to arrive. Make sure you understand the different mailing services operating in the country and also the best practices to ship your products to Brazil. Brazil leads the advertising marketing in Latin America, being one of the largest ad markets in the world. When it’s time to advertise your products, it’s important to choose the right channels to have the better outcome. The most popular social media platforms used by retailers in Brazil are Facebook, followed by Instagram, according to Qualibest. The numbers don’t lie. Today, 90% of all Brazilian internet users are on Facebook. When it comes to Instagram, Brazil is one of the top 5 countries with the most active users on the platform. More than 60% of Brazilian companies invest in paid advertising to raise brand visibility and sell more. When you’re starting out in a new country, it’s always important to create a message that makes future customers trust you. One of the easiest ways to see that you mean business when you arrive in a highly social country like Brazil is to take advantage of social influencers and their audience. Find a Brazilian influencer that talks to your audience, or a pool of them, and develop a partnership to promote your products together with them. Later on, you can benefit from this partnership and use their photos to build trust, proving that your products are of good quality and that your services are on point. Do you remember that we’ve talked about how many Brazilians are on Instagram? It’s time to improve your visual content efforts to get great shots and take advantage of those more than 57 million monthly users. Create a good Instagram Influencer strategy to create awareness and build trust in your brand, then attract those people to your social network, since 52% of Latin American follow their favorite brands on social media, and then retarget this audience with relevant content whenever you want. The language barrier is one of the most important things that keep visitors from making a purchase or returning to a website. By not talking in their language, they do not feel welcomed and decide to take their money somewhere else. The good news is that nowadays it’s fairly easy to optimize and have a Portuguese version of your website by using different Shopify apps. Not only apps, but themes have been developed to make your online store a cross-border e-commerce business without much effort. By having a multilingual version of your e-commerce, you will: increase your visibility, gather more customers and show up on local search engines. Another factor that makes people give up buying something from your international store? Prices that they cannot understand. If someone wants to purchase something but has no idea how much it is going to cost – be it for exchange rate fluctuation or hidden fees and taxes that they are not aware of – they are simply going somewhere else. If you want to reach Brazil for good, you need to have a solution for cross-border payments. You can do that by partnering up with a local payment processing company that will help you increase your credibility, reduce cart abandonment rates and, of course, improve sales. The fewer barriers your customer has to purchase in your store, the better. Prices that they can understand are mandatory. Each place in the world has their own ways of using their money. In Latin America, for examples, they are relieved when they see cash payment icons such as Boleto Bancário, OXXO, Cupón de Pago, Sencillito or Baloto on your website. When we talk about Brazilians, the two main payment methods you need to offer on your store are Boleto Bancário and Local Credit Cards. If possible, also include the option to pay installments, a common practice all over the country. You can understand a bit more about boleto bancário, the leading cash payment in Brazil, in here. 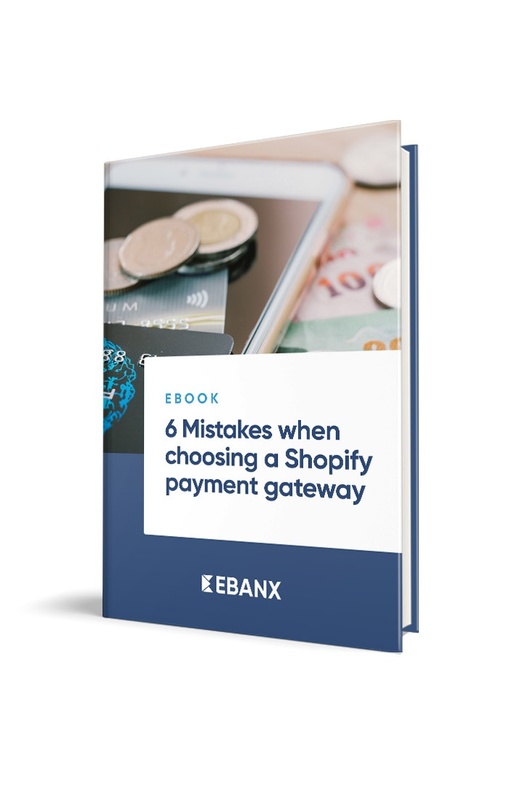 The best way to solve this problem is to partner up with a local payment gateway through Shopify. Expanding your business to Brazil is a big step that you will definitely not regret. Plan ahead, read this article a few times to not forget anything and then take action. The best way to succeed is to have the right tools and partners working side by side with you. Find local companies and seel professional, local advice if necessary. Fasten your seatbelt, optimize your store with the Brazilian customer in mind and let’s start this unique journey!